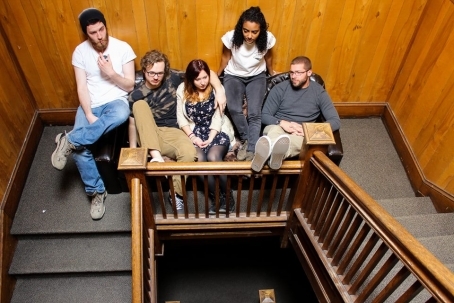 Quintet Queue breathes an open-air melody on “Falling Into Skies”. A climbing guitar line falls into step with the percussion as Olivia Price’s vocals emerge through the highly-elevated clouds. Hovering in that semi-conscious groove, the single places you in an elegant, awakening limbo.